As reported on May 28th in addisonmagazine.com, Don Daseke, Chairman, President and CEO of Daseke, Inc., is one of 49 finalists for Ernst & Young’s 2014 Entrepreneur of the Year Award in the Southwest Region. 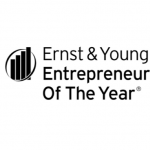 The Ernst & Young Entrepreneur of the Year award recognizes leaders who demonstrate excellence and extraordinary success in such areas as innovation, financial performance and personal commitment to their businesses and communities. The Ernst & Young Southwest Region award winners will be announced at a gala on Saturday, June 21, 2014, at the Dallas Sheraton Hotel. Don Daseke is the CEO of Daseke Inc., a family of flatbed trucking companies, now the second largest open-deck/specialty trucking company in North America.